I have recently started watching The Great British Sewing Bee, and of course, instead of starting at the beginning which is logical, because everyone on the Facebook pages I am a member of was talking about season 3 that is where I started. I love it , how wonderful to see sewers of all sorts challenged in so many ways. I have been completely obsessed and have ended up watching all 3 seasons over the last few weeks which I am sure is the part of the reason for my limited blog posts. The judges comments made me look more critically at my efforts . 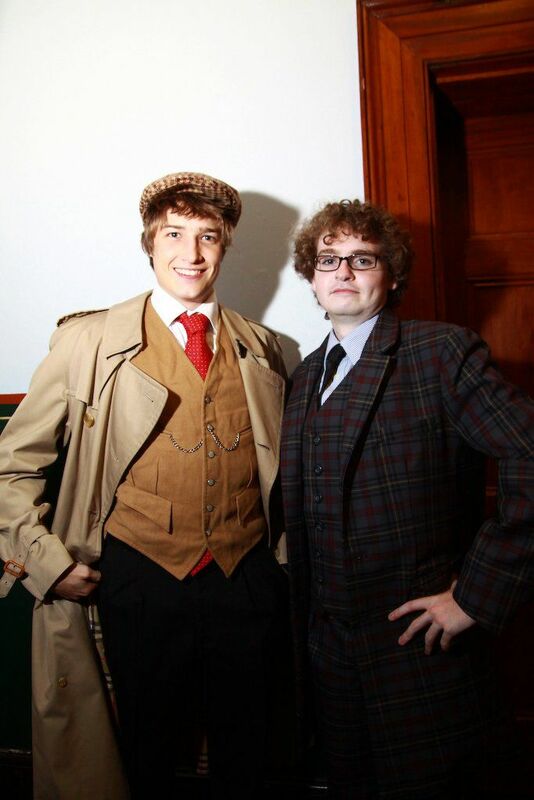 It was about 4 years ago and my first male three piece suit , made very hurriedly as it was spur of the moment impulse, with a lot of late night sewing involved ,but I think I did okay. As you can see here , I didn’t exactly match the pattern which is something I now would be very careful about, but it looks pretty good still. This is a picture of my son in his suit. In keeping with the loud styling of the suits worn in those days we picked a fabric that is not subtle. It is a wool blend and feels really nice . He may use it again as a costume I hope so it was a lot of work. 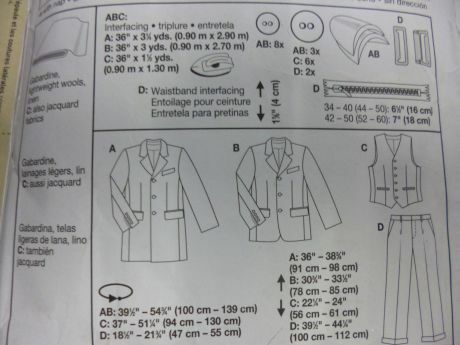 My next attempt will be a navy blazer for my husband. I plan to undertake a craftsy class to ensure I perfect my jacket sewing before I do it but I will put it up when I am done. 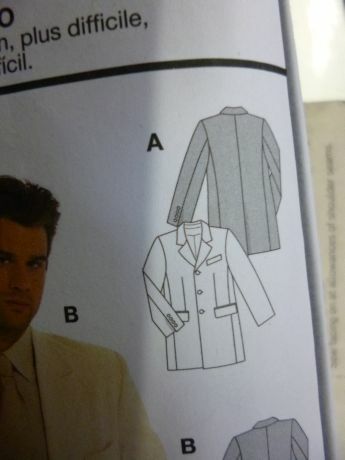 Have you ever attempted a mans suit or jacket? How did you go? Are there any tips you can give me for tailoring? Improving my skills is an on going challenge I love. The other reason I have not blogged much lately is my decision to completely declutter my home. I started in my bedroom and then at my husbands urging I moved to the sewing room. This is an enormous undertaking as for the last few months I had set up my sewing in the games room of our home as it has air conditioning, a blessing in Summer ,and a huge table. My sewing room had become the family dumping ground for unwanted school books, costumes, bags and seasonal clothes. I had to reclaim it. I have hauled out all the things that were not related to my activities, sewing, craft , scrapbooking and reconfigured the space. I will show you it when it is finished. I have also put all my fabric into zippered clear bags so that they stay free of dust. I have been sorting all my fabrics and patterns with the intention of donating all that I don’t feel I will use to the Achieve Australian fabric cave in Meadowbank. A wonderful initiative where you can purchase donated fabric and patterns for a really reasonable price and all funds raised are used to help people with disabilities. I stopped in there last week to find out what I needed to do to donate and also happened to pick up some lovely fabric and patterns . I am thrilled with what I got and will show you as I use it. I will post my latest make soon. 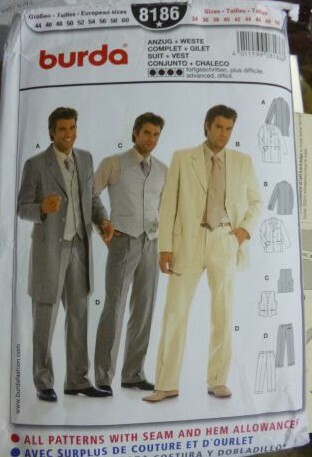 This entry was posted in The Great British Sewing Bee and tagged Boardwalk Empire, Wool. Bookmark the permalink. We look forward to your visit. Thanks again!